See how the journey of 1,000 miles starts with the first step—and discover how everyone can impact systems change. In its extensive work to address disparities in health and nutrition, Pillsbury United Communities focuses on root causes as well as related immediate needs to help people better care for themselves, their children, and the priorities that matter to them. In taking a comprehensive approach to helping Minneapolis residents lead healthier lives, Pillsbury United Communities offers access to food shelves, community cafés, a holistic health-focused grocery store, and urban farms. With this breadth of offerings and dreams of changing the world through food equity in Minneapolis, Ethan Neal, Pillsbury’s food services manager, sought big picture change—but found himself feeling deterred. Refusing to give up, Ethan took an innovative approach. Instead, by staying focused on actions to create access to healthy food and educating the community on healthy eating practices, he encountered policies and processes along the way that they are now helping to shape. Hear why and how Pillsbury reimagined the way it addresses systems change related to food and wellness. Jonathan Palmer has seen the power of this seemingly simple question to break down barriers when engaging with youth, inciting self-reflection, excitement, and participation. 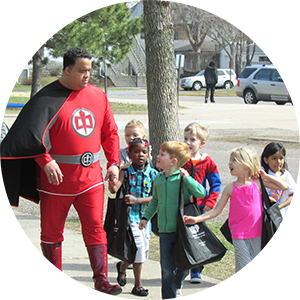 Project Superhero began after realizing the number of successful African American men who grew up reading comic books, regardless of socio-economic background, hometown, or profession. Seeing this, and being a huge fan himself, Jonathan believed that comics’ themes, ideas, and accessibility could transcend racial, cultural, and economic lines and empower and support youth. Superheroes are the modern mythology and they provide a lens through which challenges, opportunities, and everyday experiences can be viewed, explored, and learned from. See why and how this approach is effective and hear success stories from monthly comic book clubs and other activities that are using pop culture to fuel personal development, positive self-images, literacy, and civic engagement among at-risk youth. There are challenges in every community, but that’s not the whole story. 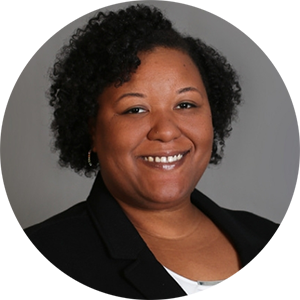 Hear from Ashlee Weaver on the value of Asset-Based Community Development (ABCD), which challenges residents and supporters to concentrate on the positive elements at work and intentionally identify, encourage, and celebrate community assets. She believes it’s the most effective way to engage and collaborate with the people, places, and things in our neighborhoods. Organizing community members around resources, talents, and passions connects and engages them for the long haul and helps combat the negative narratives that plague too many of our neighborhoods, something Ashlee Weaver has seen time and time again in local communities. Learn how her organization’s Indianapolis Community Building Institute regularly trains teams of residents in neighborhood organization strategies and supports them in completing impactful neighborhood-based projects. As people begin to talk about the positives, share what is working, and learn of all the great resources in a neighborhood, the energy level exponentially increases, and residents are encouraged to lead and participate in the positive developments around them. Hear their powerful stories and the impact of ABCD on neighbors, neighborhoods, and nonprofits.